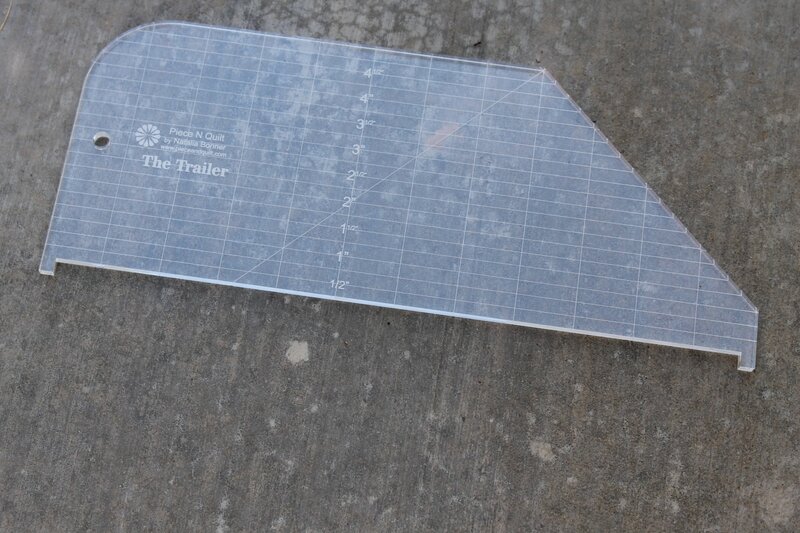 The Trailer Machine Quilting Ruler is fabulous for straight lines, 45 degree angles, curved corners and stitch in the ditch. The ruler measures 5" wide at the widest point, 12" long at the longest point. The notches on the bottom side of the ruler are great for helping to stitch straight lines in the ditch, or visualize where your stitching will go. Contact Natalia if you'd like to purchase the rulers for retail sale or wholesale options.